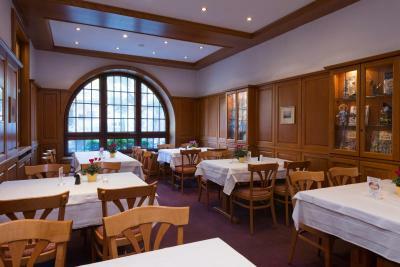 Lock in a great price for Hotel Gasthof Zum Storch – rated 8.5 by recent guests! Everything about this family run hotel is perfect. Situated in a small and charming village, five minutes' drive from the motorway, it offers absolutely everything a traveller could wish for - very welcoming and friendly staff who go out of their way to be helpful, fantastic rooms, comfortable beds, great food, the best breakfast ever to be had, free and very efficient wi-fi and easy parking - what more could one ask or wish for! All we wanted was nothing more than a place for a night on a long journey but it turned out to be a pleasurable treat. A remarkable family run Gasthof with 60+ years of tradition - they certainly know a thing or two about hospitality. A 'family room' is in fact an apartment with plenty of spaces and amenities. Cleanliness is stunning. Staff is very kind and helpful. Easy to find. Perfect parking. Perfect staff. Perfect food. The rooms was brilliant and most importantly the bed was amazingly comfy. Outstanding on all accounts. Clean, big room, friendly staff, amazing breakfast! We stopped here after 700 km of driving. Swimming pool available for the children. This was excellent. Everything. Loved it. Very clean, very spacious, lovely staff. Breakfast was very good !!!! Rooms were very spacious & clean !!! Big room, big bathroom and a terras that I asked for. Good restaurant too! 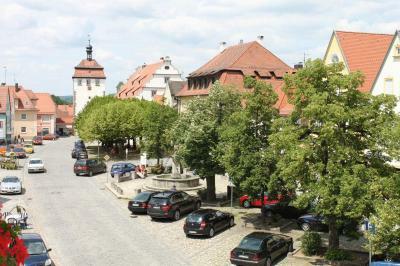 The Hotel is very near to the highway, nice location at the main square in Schlüsselfeld, very friendly staff. The space of the apartment. Perfect for a family trip. 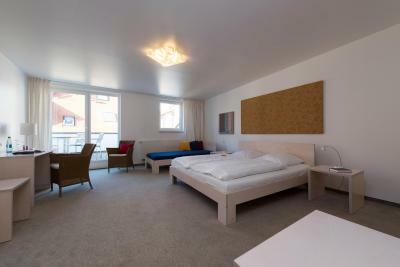 Hotel Gasthof Zum Storch This rating is a reflection of how the property compares to the industry standard when it comes to price, facilities and services available. It's based on a self-evaluation by the property. Use this rating to help choose your stay! 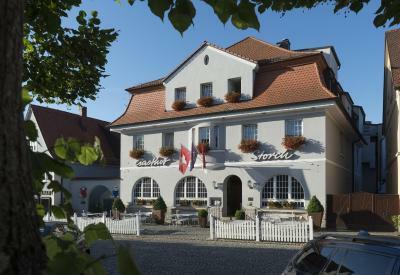 This family-run hotel is located at the market square in the historic town of Schlüsselfeld. It offers modern rooms located in 2 separate buildings, just 350 feet away from each other. A daily breakfast buffet and excellent links with the A3 motorway. 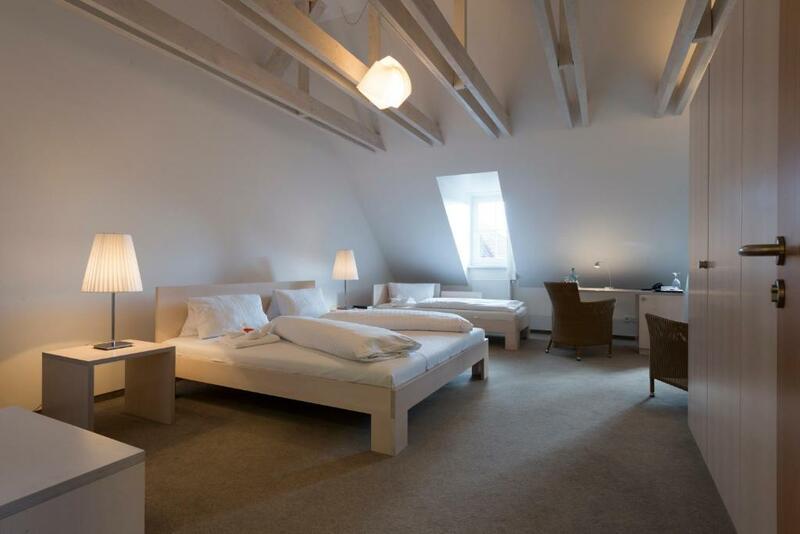 All rooms at the Hotel Gasthof Zum Storch have free WiFi access. 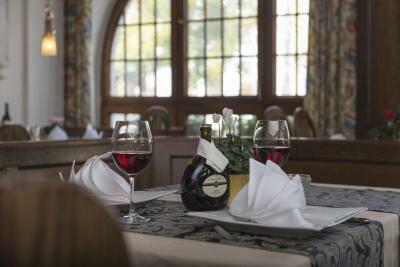 The Zum Storch’s restaurant offers food from the Franconia region. The Storch in Schlüsselfeld is an ideal base for exploring the Steigerwald Nature Park. 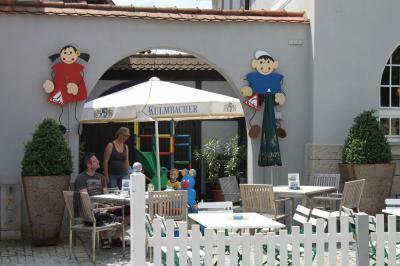 Gasthof Storch is popular for motorbike tours and has a repair and drying room. 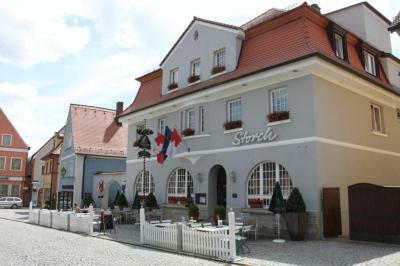 The A77 motorway is just a 5-minute drive away from the Hotel Gasthof Zum Storch. 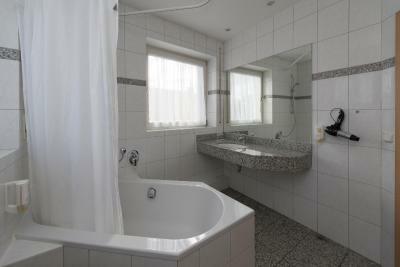 This property also has one of the top-rated locations in Schlüsselfeld! Guests are happier about it compared to other properties in the area. 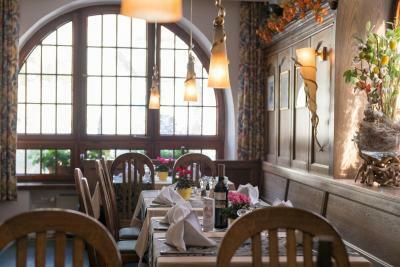 When would you like to stay at Hotel Gasthof Zum Storch? Modern room with satellite TV and a private bathroom. 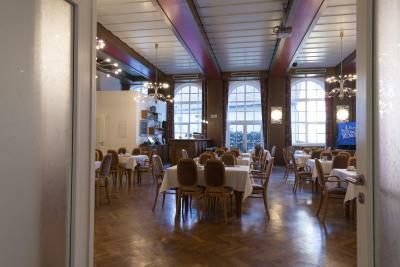 House Rules Hotel Gasthof Zum Storch takes special requests – add in the next step! Debit card Hotel Gasthof Zum Storch accepts these cards and reserves the right to temporarily hold an amount prior to arrival. Hotel Gasthof Zum Storch accepts these cards and reserves the right to temporarily hold an amount prior to arrival. No hot water The room was cold. Close to the motorway and gas station, clean and comfortable rooms, friendly and helpful staff, great breakfast! Sleeping in a very poor bed. Very hot in the room. No option to open the Windows as there was a lot of noice coming from the kitchen in front of our windows. Plenty of room for my family. Breakfast was great. We afsked for a place in the restaurant but got a table in another room, maybe because we have children with us. Noisy in the sense that you hear every guest enter/leaving the building (I was placed in a side building), Old furniture nothing quite similar to the pictures on the website. Breakfast Ok but nothing special.